Will you be our next Links Golf Cup champion? Have you got what it takes to win one of our events? Our Links Golf Cups are 72 hole Stableford tournaments played in two fantastic areas for golf – East Lothian and Ayrshire. Both tournaments, consisting of four rounds played over four inspiring links courses, are open to all amateur golfers over the age of 18 and with a handicap of 24 or less. Over the years, our courses have staged some of the most prestigious events in golf and are ranked highly on the list of the best courses in Scotland – the undisputed home of golf. The Links Golf Cup provides a unique opportunity not just to tick these courses off your “must play” list, but also to test your game against like minded golfers in a professionally run event. There are also a number of Pairs events – both for mixed couples and pairs of any combination. These feature some outstanding courses, including Royal Dornoch, Castle Stuart, Turnberry and Hillside – all highly ranked in Golf Monthly’s Top 100 in the UK and Ireland. Our events represent excellent value for money when compared with standard golf club green fees, so they can be a cost effective way of organising your next golf trip – either as an individual player or on behalf of a group. You don’t need to do anything other than turn up on the 1st tee. Entries are accepted for all events on a first come, first served basis, so if you are a club golfer over the age of 18, book your place now… you are sure to have a fantastic time. Our 72 hole Links Golf Cup East Lothian has established itself as an eagerly anticipated fixture on the amateur calendar. When you consider the stunning courses involved, it is easy to see why. 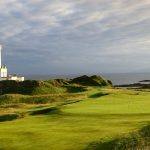 This 54 hole event for any combination of pairs takes in the stunning scenery of the Scottish Highlands and culminates at Royal Dornoch – rated No. 5 in Golf Digest’s World’s Top 100 Courses. As those who have been fortunate enough to visit will know, everything about Archerfield Links is first class, and this 36 hole event features a round on both courses – the Direlton and Fidra. Having staged The Open on a number of occasions, including the famous ‘Duel in the Sun’ between Tom Watson and Jack Nicklaus in 1977, Turnberry needs no introduction and is simply one of the world’s great golfing experiences. The emphasis is always on fun and enjoyment at the Mixed Pairs Cup, and this 54 hole competition has proved very popular with couples from across the UK and Europe. This 36 hole event takes in two of this famous golfing region’s finest courses – Open Qualifying venue West Lancashire and former Ryder Cup host Southport & Ainsdale. Known throughout golf as ‘The birthplace of The Open’ and boasting 3 Open venues and 5 of the UK’s Top 100, this stretch of coastline really is a must visit for any golfer. The stunning Moray Firth is home to some of the UK’s best links courses and this event, for any combination of pairs, features three of them – Nairn, Nairn Dunbar and Castle Stuart. Our couples are in for an amazing week of golf on the Ayrshire coast, playing three superb links before finishing off on the breath-taking Ailsa course at Turnberry. > Prizes will be presented at the Presentation Dinner – any prize winners not in attendance must contact the organisers to claim their prize, and will be liable for any costs incurred in sending their prize to them. > Maximum handicap allowance is 24 for men and 36 for ladies – full handicap allowance is given.